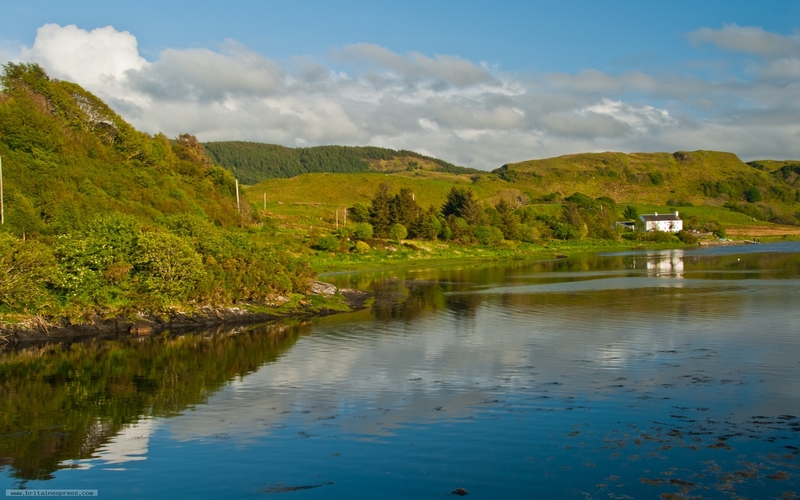 Clachan Sound separates the island of Seil from the Scottish mainland. The island is reached by a lovely old bridge known as the Bridge across the Atlantic, as the Sound is joined to the sea at both ends. Here is the view east across the Sound to Clachan hamlet on the mainland.